The following is a press release from the progressive media watchdogs, Media Matters for America. It tells the story of Byron Williams, the Glenn Beck inspired man who got into a firefight with police officers in California last July. Williams was trying to "start a revolution" by committed mass murder against the Beck targeted Tides Foundation and the ACLU. This is part II of IV. As John Hamilton reported, alleged California highway shooter Byron Williams directed him "to go back to June -- June of this year, 2010 -- and look at all his [Beck's] programs from June, and you'll see he's been breaking open some of the most hideous corruption." A review of those programs shows that Beck frequently used violent, conspiratorial and paranoid rhetoric to rail against the government and progressives, including the Tides Foundation. Beck has frequently mentioned the Tides Foundation. Since the start of his Fox News program to July 18, the day Williams was arrested, Beck mentioned the Tides Foundation on 29 programs. In most of those references, Beck attacked Tides, often weaving the organization into his conspiracy theories. Three Tides references occurred during the month of June. Here's another comparison: after the 9-11 attacks, do you remember how everyone seemed so concerned with the Muslim backlash? The ACLU, here it is, oh, sanctioned by racial profiling since 9-11. President campaigned against this. He was tired of Muslims just being randomly picked up off the street. The ACLU practically predicted the evil American citizen will just start slaughtering random Muslims in the street. Oh, it's horrible. Remember, all the lectures that we had -- they're not all terrorists, as if we needed to be told. Really? Yes? Let me ask you this, where are -- where's the ACLU, talking about all the local gas stations, BP, being vandalized or shot at? Now, look, there's vandalization. Oh, there's some more vandalization. Wait until you see the one where they shot out the front window. It's great. Yes. Hey! All Muslims are not extremists, but those mom-and-pop gas station owners -- they're all responsible for what has happened in the oil spill! All of them! Again, George Soros has nothing to gain from this. He's just telling the president what to do through the Center for American Progress. The Soros Fund Management LLC, I guess we should tell you this, holds a stake in Petrobas [sic], that is the oil company of Brazil, in the amount of $900 million as of December 31, 2009. Petrobas, the Brazilian oil company that the Obama administration -- get this -- the Obama administration is now lending $2 billion to. You ready? Wait for it. What is the $2 billion going for? To perform offshore drilling in Brazil. On June 21, Beck again questioned whether Soros "knew that the administration would be making a $2 billion preliminary commitment" to Petrobras "just days after he strengthened his investment. Isn't that weird?" Beck further said that "in a completely unrelated story, BP has their oil spill," later saying, "Then Obama suspends the deepwater drilling at 1,500 meters. He says 'Hey, hey, that's dangerous! Fifteen hundred meters, that's crazy.' Petrobras is drilling at 2,777 meters. Obama knows it and loans $2 billion to Petrobras. Last stop, Petrobras shareholders get rich," and "You, getting screwed." While discussing Soros, Beck said: "He also helped start the Tides Foundation, which among its many super, super classics are the anti-capitalist 'Story of Stuff,' indoctrination video. Yes, George Soros money. Isn't that great? Shown in schools all across America to warp your children's brains and make sure they know how evil capitalism is." How about the Center for American Progress? The influence of this man on this man, with your money, through the Center for American Progress. How about Tides? How about indoctrination? Forget God. It's in George Soros we trust. Oh, he's going to get his. He is going to get his. I don't mean -- I don't mean he is going to get his, like he may get his from God, but he's going to get his money. He's invested in the president. He signed all this up. Beck's theory is based on the false claim that Obama issued a loan to Brazil's Petrobras oil company; in reality, the loan was approved by appointees of the Bush administration to the Export-Import Bank of the United States. Kevin Varney, senior vice president and chief of staff of the bank has reportedly said that the decision to approve the loan "did not even rise to the level of presidential awareness." Furthermore, Soros decreased his stake in Petrobras before the funds for the loan in question were distributed. Beck: White House members want a "Marxist utopia." On June 9, Beck said: "What did we just hear [labor leader] Andy Stern say? It should never be resurrected. Then they can implement their Marxist utopia here. That's what many of the people that are in and around this president and this White House are going for, like it or not." Beck: Obama has said "I'm your man" to Marxist revolutionaries. Beck said on June 9: "Remember, we are talking about Marxist revolutionaries, the ones the president surrounded himself -- he's got enough Marxist revolutionaries. That's who he's speaking to, because he has to pacify them because they are angry and they, look -- he has put himself out there and he has said, 'I'm your man.' Whether he is a politician or a Marxist, you have to decide. But if he's just a politician, he's gotten in with some nasty people. So now he has to convince them -- 'no, no, I'm still with you.' Otherwise, they eat him." Ranting that gov't under Nixon "wasn't as corrupt as it is now," Beck suggests Obama admin might kill "10 percent" of population. On his June 10 show, Beck warned that "anarchists, Marxists, communists, revolutionaries, Maoists" have to "eliminate 10 percent of the U.S. population" in order to "gain control." They couldn't achieve such a goal when Richard Nixon was president, Beck stated, because "the family was together" and the government under Nixon "wasn't as corrupt as it is now." Beck added: "Now they can. Now they can." Beck later played a clip of an FBI agent who infiltrated the Weather Underground and warned about extremists who want to kill people. Beck responded to the clip by stating: "These are the same people that are everywhere in our government and our education system. Please, please. Learn from history. Please." Beck says radicals are the "strong arm" of progressive politicians to "do all the bad things." On June 9, Beck said: "So, this is what you have to understand. These people saw these people as fuel. If we can just unite, then it becomes a united front. This is your strong arm. These will do all the bad things for you. OK?" Beck: "The revolution of 1776 was a picnic compared to what the revolutionaries of today would like to do. ... Usually, millions of people die." On June 9, while discussing "radicals" in the country, Beck told his audience: "Here's what you'll learn. The revolution of 1776 was a picnic compared to what the revolutionaries of today would like to do. It's not a lot of fun. Usually, millions of people die." Beck warns of "actual revolutionaries that are in Washington right now that want revolution. I don't want revolution." On June 18, Beck said: "There are so many people that talk about, you know, how is this going to end? And, you know, we have actual revolutionaries that are in Washington right now that want revolution. I don't want revolution." Beck: Serfdom, which was "slavery light," is the "kind of the system we're creating here." On June 8, Beck said that "serfdom was slavery light," and "that's kind of the system we're creating here, isn't it?" Beck fearmongers about a "fatal government bailout that will lead to the ruination of our country." On June 24, after reading a quote from George Soros about the economic situation in Germany, Beck said: "Here's my fear, America, and I hope I'm wrong. My fear is that we are about to be introduced to a new phase of this economic crisis that will be presented as an emergency requiring our immediate attention in one form or another -- a massive and maybe fatal government bailout that will lead to the ruination of our country." Beck added: "You have to do your own homework. You have to figure these things out for yourself because no one in the media is really helping." Beck: Democrats "are turning into King George." While discussing immigration and congress on June 30, Beck played a clip of Rep. Pete Stark (D-CA) and said of members of congress, "King George! The people are turning into King George." Beck: Obama comments at G-20 "tripped my Marxism alarms." On June 29, Beck played a clip of President Obama talking about "an even playing field" and said "that kind of tripped my Marxism alarms." Beck: Obama wants to "de-develop America" and cut average income to $14,000. Using his chalkboard, Beck said on June 29 that "the president and the radicals he has surrounded himself with" want to "de-develop" America, adding: "Now how much would you pay? You, too, can go from $47,000 a year, all the way down to $14,000. Happy? This is the M.O. of this administration." 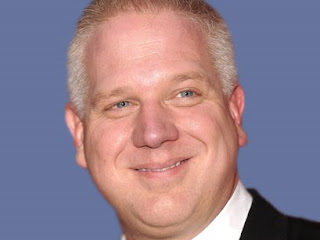 Beck defends McCarthy's legacy with show devoted to red-baiting. Beck -- who has said that Sen. Joseph McCarthy was "absolutely right" -- devoted his June 24 show to purportedly helping his viewers decide "was McCarthy right." During the show, Beck renewed his extended campaign of red-baiting President Obama, his family, and progressives, at one point opining on the effectiveness of duck-and-cover drills in raising awareness of the dangers of communism. Beck says progressives "mutate" "evil" communism and socialism so that it "goes undercover." On June 24, Beck claimed that "from Hollywood, to class, to the Oval Office, Marxism is alive and well. It is thriving here in the United States. You might know what it is, but our children do not. We just think that somehow or another they know, but they do not. And they are not being taught the evil of communism and socialism. Progressives do know what it means, and they can mutate it. It always mutates. It goes undercover." Beck: This administration "would be more than happy" to make America "a Latin American country." On June 22, Beck warned about the dangers of living in Brazil, and claimed that "we're becoming a Latin American country. Oh yeah, this administration will bring us here, they're more than happy to." Beck pointed to the "drill ban" as the "final nail in the coffin." Beck says government wants to "shove" alternative energy, which would be "suicide. "On June 12, Beck claimed that "they're going to shove us into alternative energies" and added, "Do you know what that is? Beside suicide, it's like forcing somebody to drive over a bridge when it's only half-finished. It will be great when it's done, but crossing it now, you might plummet to your death. Pretty good shot." Beck suggests Obama's Oval Office address was part of a "war ... on our very way of life." On June 17, Beck discussed Obama's Oval Office address and claimed: "We're entering a new phase. We're seeing it played out now in the media. It's the beginning of it, and you must watch for it. We're no longer being nudged to get into line. We're getting shoved now. There is a war being fought, and it isn't against the oil spill, it is on our very way of life." BECK: So, we have overspending. We have cap-and-trade. We have net neutrality, corruption, Marxists in the White House. Each one of these things is a problem -- overspending, global government. But are they related? I mean, what the media and everybody else want you to do is take and look at one thing: "Oh, Glenn Beck, he's always trying to tie things together." Well, let me ask you: Is government health care overspending and global government, are they -- are they connected or not? I contend they are. But nobody wants to seem to connect the dots. Beck claims that "we're entering a thugocracy." On June 14, Beck discussed remarks from the White House about the BP oil spill and said the comments reflected "the Chicago Way. Chicago -- the thugocracy, you know what I'm sayin'?" Beck added that "we're entering a thugocracy." Beck distorts Obama remarks to claim it sounds "an awful lot like profiling." On his June 14 show, Beck cropped 1995 comments from Obama to claim they sounded "an awful lot like profiling" and reiterated his suggestion that the reason Obama did not want to meet with BP CEO Tony Hayward is because "he's a white CEO" and "white CEOs, they don't like to -- they don't want to pay their tax dollars and have those tax dollars go to inner-city kids." Beck added that Obama's words were "code language" that "sounds like racism." However, as Obama's full comments make clear, he was actually discussing personal responsibility on the part of both blacks and whites. Discussing progressives, Beck warns, "The summer of rage is about to begin." In a June 10 segment attacking progressives, Beck warned that "these guys joined with these guys. The politicians joined with the revolutionaries so they could gain power. Now, it is time to break apart, because the summer of rage is about to begin." Beck compares progressives to villain in The Incredibles, claims they want "blood in the streets." On June 10, Beck claimed that progressives "don't mind blood in the streets. They don't mind riots. They don't mind cops getting hit in the head with bottles." Beck then compared progressives to the villain in The Incredibles. Beck says some progressive groups don't have "a problem with blood in the streets." On June 9, Beck claimed that some progressive groups don't have "a problem with blood in the streets." Beck: "Shoot me in the head if you try to change our government -- I will stand against you." On June 9, Beck said: "Shoot me in the head if you try to change our government. I will stand against you, and so will millions of others. We believe in something." Beck repeatedly pushes falsehood that U.S. lost "80 miles" of land, "sovereignty" to Mexico. Beck has pushed a debunked report that 80 miles of land in Arizona has been lost to Mexico. Beck first ran with the claim on his June 21 Fox News show, stating: "Also, another amazing story from Arizona where the federal lands are now being closed to Americans because the dangers of, quote, 'human and drug trafficking' along the Mexican border, 80 miles into our border. And we've closed it. We might as well give that land to Mexico. Oh, I think we may have just done that." On June 30, Beck falsely claimed that "it is so dangerous that in Arizona they have closed off an area that stretches 80 miles along the border. Some might say that's called giving up sovereignty." Did you know BP wanted cap-and-trade? By the way, on a related note, kind of, Enron was the biggest supporter of cap-and-trade; now it's BP. John Kerry was originally planning to announce his big cap-and-trade, called the American Power Act, in conjunction with three oil companies, one of them, this little piggy, was BP. Of course, the spill derailed the photo op, so -- but it really hasn't derailed now the emergency we needed for a new energy bill. Emergencies help. Every day that spill continues, it increases the chances of cap-and-trade getting passed. In completely unrelated news: It has been 71 days -- 71 days -- since oil started shooting out of the Gulf of Mexico. The president has had 71 days to think about the foreign assistance offers of help that have poured in since the beginning -- 71 days to say, "Hmmm, ships that could help. Hmmm. Give me some time, I'm thinking about it." Seventy-one days. He's now accepted that help. But what took him so long? However, as FactCheck.org has noted, international offers of assistance had already been accepted, and numerous foreign-flagged vessels were already involved in the oil spill response.